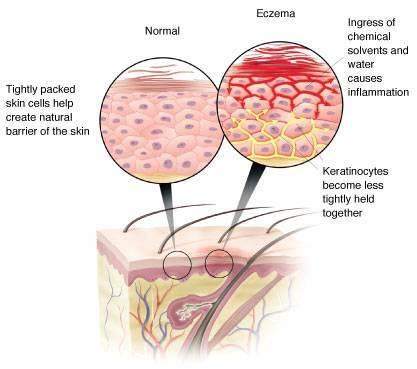 Eczema or atopic dermatitis is a recurring, non infectious inflammatory skin condition that is most common among people with a family history of an atopic disorder including asthma, and hay fever. In atopic eczema the skin becomes red, dry, itchy and scaly and may weep, bleed, or crust over in severe cases, and can even become infected. Eczema can affect people of all ages but normally appears in early childhood and resolves at around age six. Most children will grow out of eczema, but a small percentage may experience severe eczema into adulthood. Family history of eczema, asthma, or hay fever. If both parents have eczema then there is an 80% chance of their children developing eczema. Some foods including dairy, wheat products, nuts, citrus fruits, eggs, seafood, chemical additives, preservatives, and coloring. Irritants including tobacco smoke, chemicals, weather (hot and humid, or cold and dry conditions) air conditioning, overheating. Allergens including house dust mites, molds, grasses, plant pollens, foods, pets, soaps, shampoos, washing powders. – Recurring rash that can include, dry, red, patchy, or cracked skin commonly occurring on the face, hands, neck, and inner elbows, backs of knees, and ankles. – Rough, leathery, thick skin. It is important to have a comprehensive skin, and lifestyle analysis in the diagnosis, and treatment plan when dealing with a possible diagnosis of eczema, and only a doctor or skin specialist can make the diagnosis. The first step in the treatment of eczema is to take really good care of the skin. It is important to apply a good quality, perfume free moisturiser after bathing or showering to restore moisture into the skin to stop skin from drying out and this can also help any prescription medications work more effectively. – Wear cotton or soft fabrics. – Take luke warm baths/showers using soap free wash.
– Gently pat skin with a soft dry towel, no rubbing. – Apply a good quality moisturiser within three minutes of bathing to lock in moisture. – When possible avoid sudden changes in temperature and activities that can cause sweating. – learn your triggers and avoid them when possible. – Use a humidifier in dry/hot weather. – Keep fingernails short to avoid scratching from breaking the skin. – If affected by allergies, remove carpets from the house, and keep pets clean. 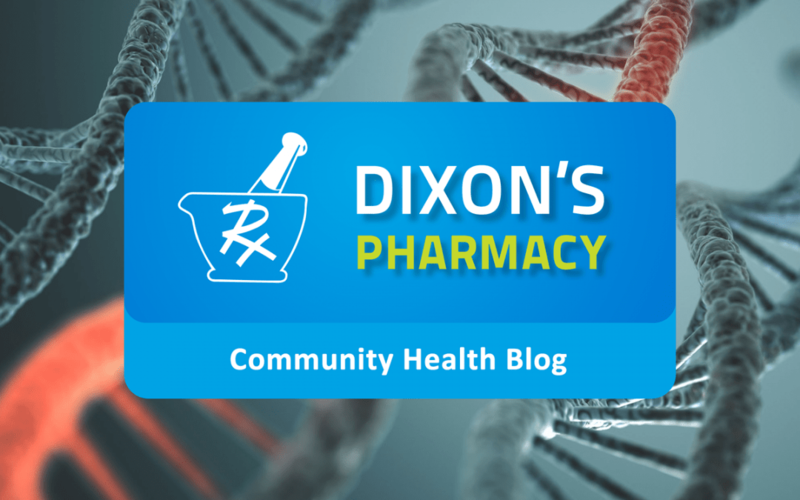 Topical steroids are an important part of the treatment plan for many people with eczema, and they work to reduce the inflammation and ease soreness and irritation, reducing the need to scratch allowing the skin to heal between flare ups. Increasing your natural immunity is another way to manage eczema, and can be achieved through the use of a quality probiotic. Because a large percentage of immunity resides in the gut, strengthening this immunity through probiotics and adding good flora and balancing the ecology of the gut can hugely improve immunity from the inside out, and in turn decrease eczema flare ups.